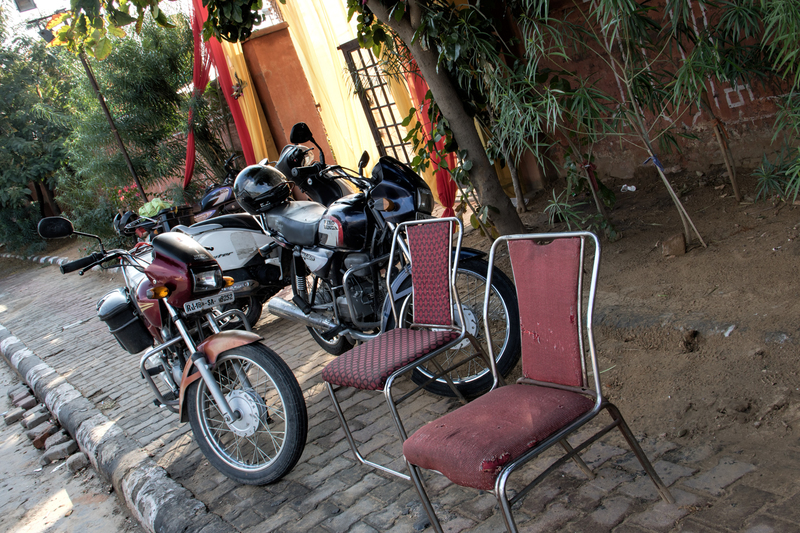 Continuing with the theme of interesting sidewalk seating, here are a couple of chairs (plus motorcycles) outside a walled garden in Jaipur last January. This was an access road, separated by a line of trees from a very busy street. So it was noisy there, but also cool and shady, which may be why the residents would choose to sit there instead of in the very pretty -- and sunny and hot -- garden.